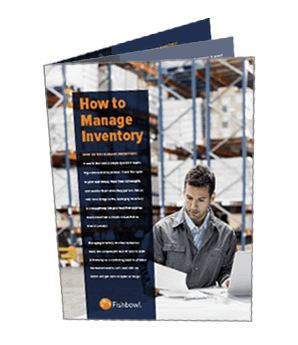 According to Entrepreneur magazine, inventory management is one of the most important parts of a business, but it is often the least understood. Here are four ways to keep your warehouse continuously organized. No matter how organized the warehouse may be, managers should regularly review the current warehouse design layout to reduce workflow bottlenecks and identify opportunities for process improvements. Depending on the rate of sales increases and business expansion, formal space evaluations should take place every few years. Managers must continually ask themselves if their facility is capable of safely and properly storing items. They should also analyze functional flow paths, chronic obstacles and opportunities to upgrade to ergonomic equipment. 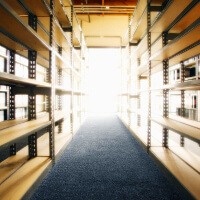 Modern warehouses simply cannot function without an inventory management system. While using complex Excel spreadsheets may appear tempting, this virtually guarantees a small percentage of data entry errors that will result in major problems. Simply adding a zero to a stock item may lead to big headaches, wasted time and inaccurate forecasts. In contrast, a software program and an automated system will enable employees to accurately and efficiently enter, track and locate items in different locations. Inventory management systems provide real-time data, so inventory managers will always know current stock levels and trends, and also allow users to generate customized reports. Sometimes, the employees in charge of a warehouse aren’t qualified to manage inventory or subordinates. It takes a certain personality and set of skills to keep a warehouse running smoothly. Warehouse decision makers need to be comfortable with chaos, ambiguity and deadlines. They also need to be flexible, analytical and organized. Implementing a better inventory-control system will only be successful if the right people are in the right positions. Involving key managerial members in meetings and strategic planning sessions will provide inventory managers with much needed advice and support. Be sure to set the expectations that inventory managers will cross-train employees so that every position has a backup. There are many ways to use tags in warehouses. First, manufacturing tags can be used on trays, totes, pallets and containers. Due to the fact that warehouses typically have a high product flow moving in and out at any given time, container tags from places like Tagprinters.com drastically reduce the time and energy it takes to locate and organize inventory. Standardized tracking and identification systems will improve efficiency, productivity and in the end, revenue. Second, tags can also be used to label racks in order to streamline workflows. Having customizable tags will enable staff to easily and quickly locate the products for stocking, shipping and inventory control. Clearly, these tools and techniques will increase warehouse efficiency and reduce costs and mistakes.